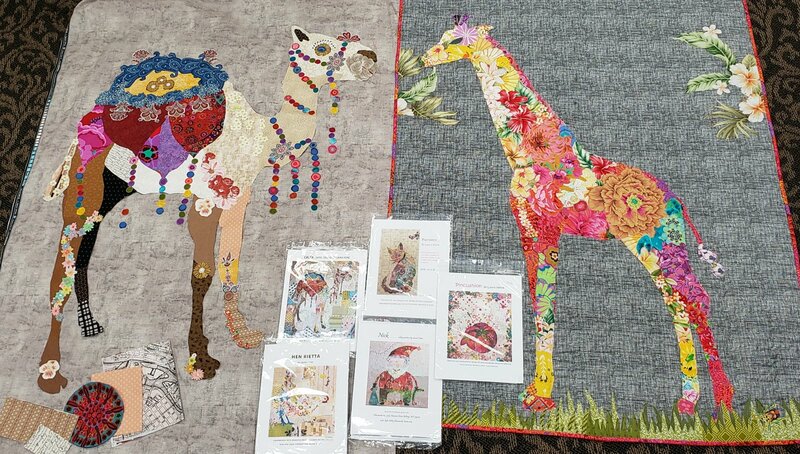 Join Mary to learn the techniques of creating one of Laura Heine Art Collage Quilts. The Mini Quilts are various sizes around 20" x 30". The full size quilts are around 46" x 60"
Day 1 will be all about preparing to make your quilt including selecting fabrics, instructions on cutting, fusing, etc. Day 2 is an all day class to construct our quilt. Karen K Buckley medium blue handled scissors recommended. Pattern Ease Foundation Paper (check your local craft/sewing store) for large patterns or Swedish Tracing paper for smaller designs. Make sure you have all your supplies prior to the start of class. Plus your choice of Laura Heine Pattern. We have many in stock to choose from and we will be happy to order one if we don't have it in stock.